Groundbreaking design: Styletto’s industry-first slim design was created to give people with hearing loss a different option from the traditional hearing aid shape. Sleek and discreet, these modern-looking devices come in three stylish color combinations. Portable charging: A portable, easy-to-use charging case provides 19 hours of daily use after just three hours of charging. The charger can also power your hearing aids for full three charges without the need to plug in–perfect for a weekend getaway. Superior sound quality: More than just stylish design, Styletto offers the latest advancements in hearing technology: clear speech understanding in noise, enhanced spatial awareness, extended dynamic range, and OVP™ (Own Voice Processing) for a natural sounding own voice. 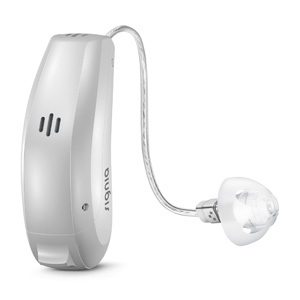 Signia’s new Nx hearing aids are your natural choice for performance and hearing. Whether you’re in a meeting, taking an important business call, preparing a presentation, or meeting colleagues for lunch, with Signia’s new hearing aids you can enjoy the most natural sound experience along with superior connectivity and audio streaming from your smartphone and TV. Telephone - Stream phone calls directly from your Apple® smartphone (and with StreamLine Mic from your Android™ smartphone) to your hearing aids for complete convenience. Music - Listen to your favorite music streamed directly into your hearing aids from your Apple device (and with StreamLine Mic from your Android device) for an outstanding sound experience. TV - With StreamLine TV, audio from your television can be fed directly into your hearing aids in Dolby® Digital stereo sound. You can easily stream and adjust the volume through the myControl™ App. Remote control - The myControl App lets you change hearing aid settings remotely and personalize your hearing aids to suit your individual preferences. And if you don’t have a smartphone, the miniPocket™ also provides highly convenient remote control. Hearing your own voice - Many hearing aid wearers do not like the sound of their own voice as it can sound loud and unnatural. As a world’s first, Signia’s hearing aids solve this: its OVP™ (Own Voice Processing) provides you with a natural sounding own voice combined with optimal hearing of all other sounds for the most pleasant, natural listening experience. 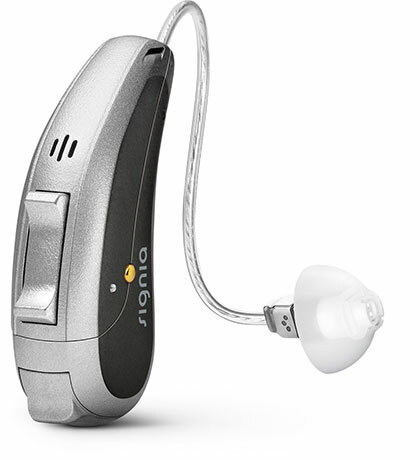 Speech in noise - Thanks to Speech Quality, Signia’s hearing aids enable you to hear speech clearly in all situations through advanced noise suppression technologies. This makes it easier for you to understand your conversation partner, even in very noisy environments such as a restaurant or a conference. Conversation while moving - The 3D Classifier provides advanced automatic control in all situations to let you enjoy the highest hearing performance. To deliver optimal hearing even when moving, the hearing aid settings are automatically adjusted based on the myControl App’s motion data. Crystal clear sound - Sound Clarity offers the most natural, lifelike sound in all environments. This lets you enjoy crystal clear sound, even in the loudest environments. Bluetooth® connectivity: Full Bluetooth connectivity in these ITC and ITE devices means patients benefit from best-in-class sound quality when streaming TV audio, music, and phone calls. 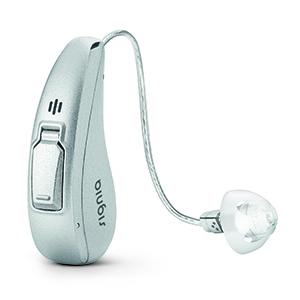 Most natural hearing experience: Despite their small size, these connected hearing aids still deliver exceptional sound quality and unrivalled speech understanding even in very noisy environments. Compatible with the CROS Pure 312 Nx to offer a natural experience for CROS wearers with the convenience of direct streaming. Maximum discretion: With its small, elegant housing Signia’s Pure® 312 Nx sits unobtrusively behind your ear. It can be remotely controlled via your smartphone for a maximum of convenience and discretion. 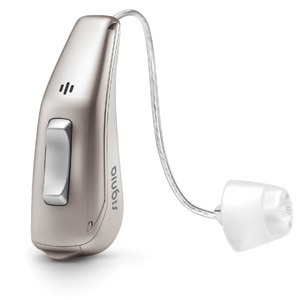 Fully featured: Packed with state-of-the-art technology, Pure 312 Nx offers the most natural sound and highest hearing performance as well as superior connectivity. Maximum energy efficiency: The reliable Pure® 13 Nx from Signia provides the longest audio streaming time in its class, so you can keep your head clear for the important things in life. 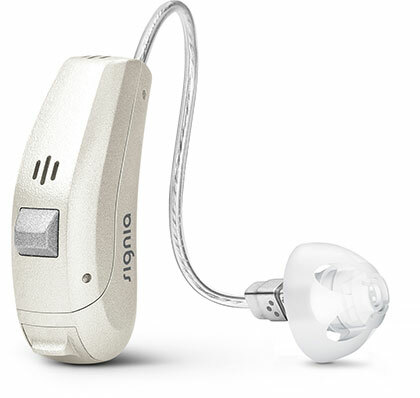 Fully featured: Packed with sophisticated, state-of-the-art technology, Signia’s Pure 13 Nx offers the most natural sound and highest hearing performance as well as superior connectivity. Optional Telecoil: The battery door of Signia’s Motion 13 Nx and Motion 13 P Nx can be equipped with a Telecoil. In places with an induction loop, this helps you understand speakers more clearly. Simply select the T-program wherever you see the sign on the left. 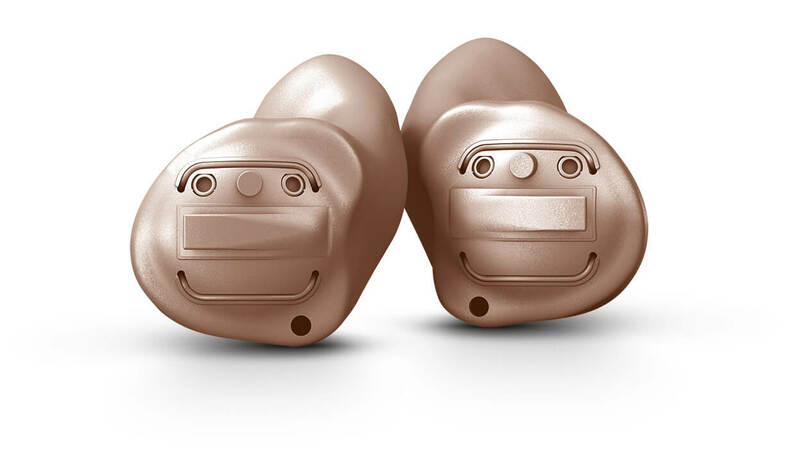 A tailor-made hearing experience: Motion® 13 Nx offers a variety of fitting and handling options to perfectly meet your wishes and requirements. This way, your hearing care professional can customize your personal hearing solution. High level of wearing comfort: As a behind-the-ear, or BTE model, the small Motion 13 Nx sits snuggly and discreetly behind your ear. Its ergonomic shape makes it extra comfortable to wear. Optional Telecoil: The battery door of Signia’s Motion 13 Nx can be equipped with a Telecoil. In places with an induction loop, this helps you understand speakers more clearly. Simply select the T-program wherever you see the sign on the left. 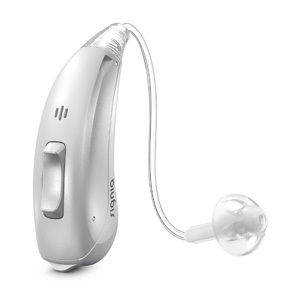 Absolute discretion: Signia’s tiny Pure® 10 Nx sits nearly invisibly behind your ear. For a maximum of convenience and discretion, it can be remotely controlled via your smartphone. Pure simplicity: With no buttons required for manual adjustments, the fully automatic Pure 10 Nx gives you the ultimate in simplicity and superior sound quality for hassle-free hearing. Hear without strain. 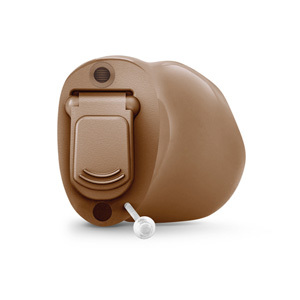 primax Star hearing aids single out a target speaker’s voice from background noise, so that listening effort is significantly reduced. Follow every conversation effortlessly. Many daily situations, like conversations at a train station, can present enormous challenges for those with imperfect hearing. The primax Star SpeechMaster function localizes the speaker of interest and reduces sound interference from the environment. A whole new music experience. 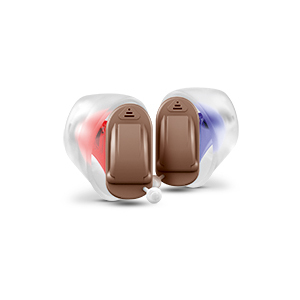 primax Star hearing aids feature HD Music programs uniquely designed to enrich the sound quality of music, whether it is playing live, through a stereo system, or during an onstage performance. High performance, low energy consumption. High-performance chips and complex functions included in the primax Star hearing aids don’t drain batteries, thanks to intelligent processes that reduce power drain and prolong battery life. And rechargeable hearing aid options only require battery changes an average of once a year. Direct connectivity: Uses Bluetooth® technology to stream audio directly from your iPhone® into your hearing aids and take control with the myControl™ App. Safer listening experience: Motion® utilizes the iPhone’s motion sensors through the myControl App to provide a clear and complete overview of a wearer’s changing acoustic surroundings. Directional microphones: Improve speech clarity even in noisy environments by focusing on the speaker in front of you. Direct connectivity: Connect directly to your iPhone for audio streaming. Enjoy advanced remote control options with the myControl App. Safer listening experience: The hearing aids adjust their settings based on the myControl App’s motion data from your iPhone to deliver optimal hearing even when moving. 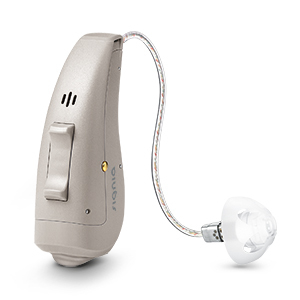 Additional Siemens hearing aid options available. 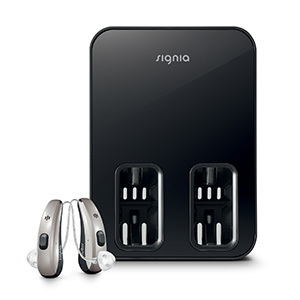 Besides a comprehensive line of hearing aids, we offer accessories like the Signia eCharger™, which recharges your hearing aid batteries while you sleep. The easyTek connects your hearing aids to many different Bluetooth®-enabled devices, like your television, smartphone, and gaming console. And the touchControl™ App transforms your smartphone into a remote control for your hearing aid settings for the ultimate in convenience and discretion. * Study conducted at the University of Northern Colorado, 2015, examined the effectiveness of the new features of primax by collecting and analyzing ongoing EEG data while subjects performed speech testing. For both primax features SpeechMaster and EchoShield, the objective brain behavior measures revealed a significant reduction in listening effort when the feature was activated. The Bluetooth® word mark and logos are owned by the Bluetooth SIG, Inc., and any use of such marks by Sivantos is under license. Other trademarks and trade names are those of their respective owners. Sivantos, Inc. is a Trademark Licensee of Siemens AG.